Oh snap kids! I made a mix exclusively for our blogs new show, The Penned Madness Sessions on Digitally Imported's Electro House Channel (every 2nd and 4th Tuesday from 12pm-2pm (EST)). The show aired this past Tuesday and featured yours truly and Team Jaguar (roar!). We killed it - duh. But what if you missed it? Or what if you wanted to hear it again??? Well I'm posting my hour of the show as well as a few tracks from the mix that I think are essential! 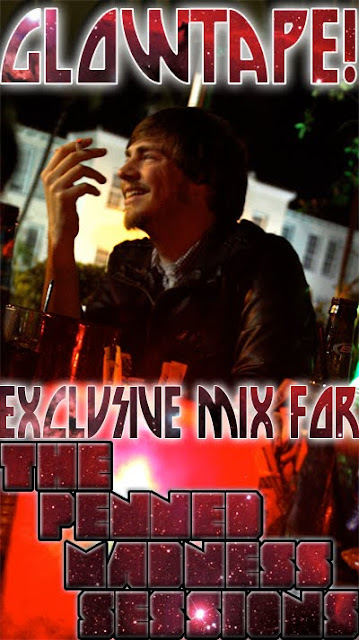 You can listen to and download the mix via my Soundcloud page! GlowTape! - Exclusive Mix For PM (2-23-10) by GlowTape! maybe mix what next time? Someone drank had their fair share of haterade today it seems. even in jest, the "lol" doesn't validate your comment in any way - especially Anonymously.